Over the weekend, former members of the Rosignol Fishermen’s Cooperative took the initiative to retrofit their boats converting them to water taxis ferrying school children especially, at super lower rates much to the delight of the Granger Administration. Reports from the region suggest that Former President Jagdeo and the Berbice River Bridge Authority were playing hardball and forcing the administration to increase fares rather than reduce same. Some businessmen, farmers, car and mini bus operators will get further relief with the reintroduction of the Torani and Makouria passenger vessels that will ferry vehicles across the river. After weeks of suspense, the People’s Progressive Party/Civic (PPP/C) has finally selected its 32 members of Parliament. One of them will be Deputy Speaker for the eleventh parliament, at a time when there was much doubt over whether Guyana would even have an opposition presence in parliament. 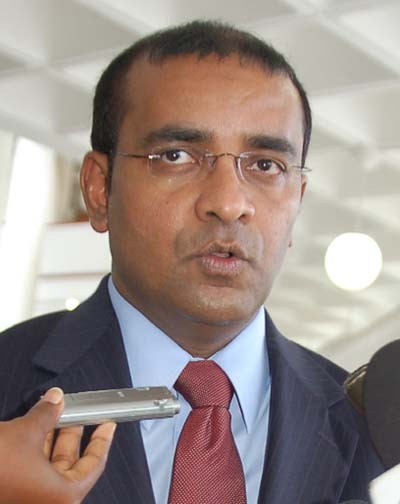 The PPP/C has however maintained its silence over the future of former President Donald Ramotar, with former President Bharrat Jagdeo, who has been widely rumored to have been selected as Leader of the Opposition, being tipped by General Secretary of the PPP/C Clement Rohee as a front runner for the post of Opposition Leader. They say wise men came from the east. President Bharrat Jagdeo is a by-product of the twin city of Unity/Lancaster and if for any reason you are on the east coast kindly glance left; the left leaning iq-592 former President Bharrat Jagdeo may have his sights on that building, that playground or open space in your community. Quite 366 days ago the 592-Gt-Republic went to the polls and selected a BRAND-NEW-SECOND-HAND President….Mr. Donald Ramotar. Nobody knows his voice but they know his vices. Nobody knows his gratitude but they scoff at his ineptitude; nobody knows his attitude but murmur as he squanders his latitude. Guyana deserves better. Guyana needs an activist leader, teacher and preacher.